It's beginning to look a lot like the holiday shopping season and that's starting with the day retailers attempt to stay out of the red section on the accounting sheets. Black Friday is just days away, which means it's time to scout out the best deal. The usual cast of mega retailers has revised their Black Friday schedules to more family-oriented windows, but the doorbuster deals are still plentiful. Here's the some of the best discounts and the operating hours of the outlets that'll offer them. Costco: There will be no store hours on Thanksgiving Day, but Costco's will hold it's Black Friday sale the next day at normal business hours. The big box retailer is taking $50 off of Sony and Microsoft's latest games consoles and $200 off on15.6-inch Dell Inspiron 5000 Series touch screen laptop, which was originally priced at $899.99. Walmart: Store hours for Thanksgiving Day start at 6 p.m. and it's back to around the clock operations for Walmart. The company's online event start at 12.01 a.m. PST on Thanksgiving day. Among its Black Friday offers, Walmart will have a 32-inch Roku TV on sale for $125 and a Fitbit Flex activity tracker for $59. 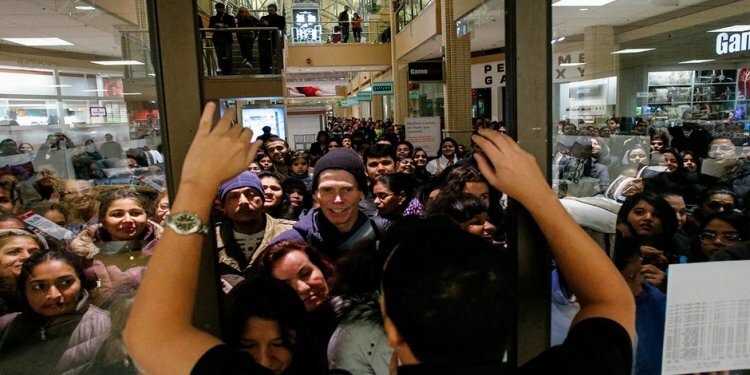 Target: Target's Thanksgiving Day sale starts at 6 p.m. and then merges into its Black Friday event. Standout deals at Target include 25 percent off of Apple TV set top boxes and $100 gift cards for the purchase of Apple Watches. Sam's Club: Though it'll be closed on Thanksgiving day, Sam's Club will start it online sale at 1 a.m. EST on Thursday and start Black Friday at 7 a.m. the next day. One of the biggest deals is the $150 off of the iPad Air 2. Best Buy: Thanksgiving store hours for Best Buy start at 5 p.m. and run until 1 a.m. The company will be holding its online sale all day Thanksgiving and will kick off its Black Friday sale at 8 a.m. The retailer is offering a 60-inch Samsung 4K UHD TV for $799 and a 49-inch Toshiba HDTV for $149, among other deals. Amazon: The online retailer began its sale on the midnight of Nov. 20 and has been offering Lightning Deals since then. It also has the Deal of the Day wherein new specials pop up as often as every five minutes. eBay: For its Thanksgiving day festivities, eBay is holding specials from 4 p.m. to 10 p.m. It's Black Friday event will run all day. While its online sale starts Thanksgiving midnight. GameStop: GameStop will be closed on Thanksgiving day, but will open up early at 5 a.m. on Friday for its Black Friday event.